Prime 1 Studio has released photos and details for their new Gatchaman – Ken The Eagle 1/4 Scale Statue. Based on the iconic anime series (also known as Battle of the Planets in the US), the statue features Ken Washio suited up in his Gatchaman outfit, hovering over a drone themed base. Ken stands over 29″ tall and includes light up LED features, removable face shield, and swap out arms. An Exclusive Version will have a swap out portrait with a removable damaged face shield. Pre-orders have not yet gone live, so pricing and release info are not available at » Continue Reading. 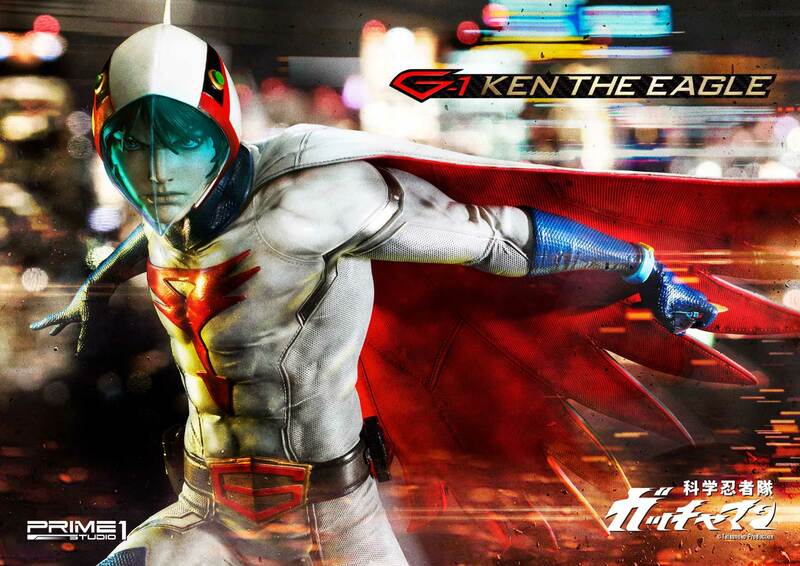 The post Gatchaman – Ken The Eagle Statue by Prime 1 Studio appeared first on The Toyark – News.